What Is a Holistic Approach to Pregnancy and Childbirth? Considers all aspects of an individual, including the body, mind, and spirit. A holistic pregnancy and childbirth recognizes the impact of the mind and spirit, as well as the physical body, on the experience of pregnancy and birth. Physical health, values and beliefs, relationships, emotional wellbeing, and spirituality all affect pregnancy and birth. In turn, the experiences of pregnancy and birth influence body, mind, and spirit. Trusts the natural progression. A holistic approach to pregnancy and childbirth also recognizes that a woman's body is naturally designed to conceive, nourish, and give birth to a baby. It trusts the natural progression of pregnancy and labor. Starts with least invasive approach but uses the full range of therapies as needed. A holistic approach to childbearing includes both low-intervention approaches and the appropriate use of technology in a thoughtful and well-considered manner. A holistic approach respects the normal processes of pregnancy and birth, but recognizes the need for assistance if appropriate. Each situation is unique, requiring individual choices and care. Note: a holistic approach is not "natural childbirth," which, as a term has widely different meaning, including a complete avoidance of medication or interventions. Incorporates integrative therapies. A holistic approach to pregnancy and childbirth includes the use of integrative therapies (also known as alternative or complementary therapies) to prevent or treat common discomforts and complications of pregnancy, in a way that is consistent with the belief system of the patient. Ginny and Charles are having their first baby and have started to consider their options for prenatal care and childbirth. While they are both healthy, Ginny will be 37 when the baby is born. They wonder if she will have to take any special steps to stay healthy, or if her age will limit her options. They are also expecting a lifestyle change after the baby is born, as Ginny plans to quit her job and stay at home. Lucia and Roberto are having their third child. Birth has been relatively easy for Lucia, and she feels confident about her upcoming birth experience. However her first two children were born in Mexico City, and she wonders about what to expect with the American midwife and hospital. While Lucia is fluent in English, she is quiet and not accustomed to asserting herself. She wonders if her preferences regarding pain relief, breastfeeding, and infant care will be honored. Rob feels he can be more assertive, but because he "knows nothing about childbirth," he doesn't feel comfortable asking the midwife questions. Carrie is having her first baby. 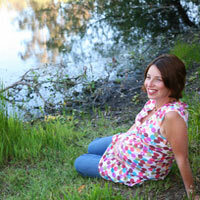 She writes about her pregnancy experience in a journal and has learned a lot about herself so far. She relies on her sister Tina, who has two children, for emotional support and sometimes for financial support as well. Tina tells her to "get an epidural as soon as you can," but Carrie wonders about other options. She wants to make the healthiest decisions for her pregnancy and birth. Lorinda and Marcus have just found out that they are expecting a second baby. They have integrated complementary therapies, such as therapeutic touch, chiropractic care, and herbal medicine, into their family's healthcare for some time and approach pregnancy and childbirth in the same way. They face a few challenges, however, as their healthcare providers and even their own families sometimes misunderstand and question the decisions they have made. Ginny, Lucia, Carrie, and Lorinda all have different expectations about childbirth and what they should do while pregnant. This is typical - each family has its own beliefs and hopes. It is a challenge to discuss holism in pregnancy and childbirth within this wide range, but we hope to provide information that is useful and respectful of your values, whatever your background or previous experiences with holistic care.